Have bed bugs taken over your home? Oh, no! Don’t fret, it isn’t an indictment of your cleanliness. These pesky little pests have a knack for latching on and invading anywhere they seem fit, whether it’s your sparkling clean home, a college dormitory, or even a five-star hotel. They are the ultimate hitchhiker, and the ultimate pain in the you-know-what. 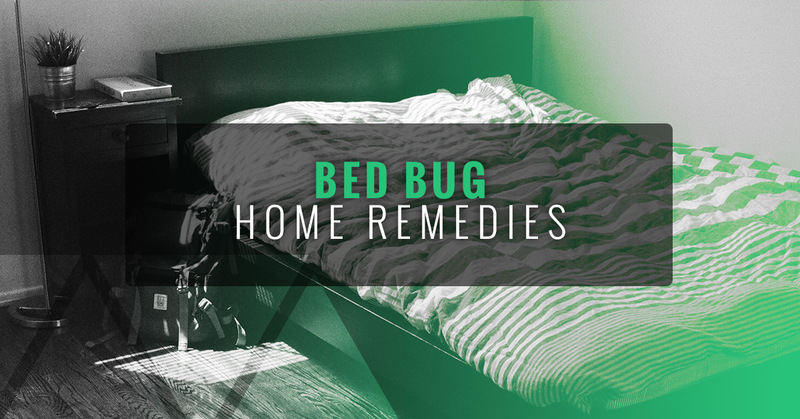 So, if you’ve discovered a sudden infestation of bed bugs in your home, you’re certainly going to want to act fast. The sooner you can stop them from hiding, spreading, and taking complete control, the better off you and your family will be. The first step toward eradicating these little critters is to identify the infestation in full. Are they just in your bed? Have they made their way to your child’s room? Are they on the couch or chairs? From here, you can start taking steps toward eliminating these nuisances from your living area. But what do you do? Chances are, you’ve heard or seen at least one advertisement for exterminators in your area. The question to ask, then, is which methods do they use? And moreover, would it be more cost efficient to simply do it yourself? If you haven’t learned by now, it’s much more effective to kill bed bugs with heat than with chemicals, the latter of which has been a staple among many exterminators over the years. As for the do-it-yourself methods, you don’t want to take just anyone’s word for the best way to kill bed bugs. Chemicals, such as hydrogen peroxide (one common DIY theory) could end up doing more damage than good, and ultimately leave you back at square one. That’s why it’s important to do proper research for bed bug home remedies. Well, that’s what we’re here for! At Colorado Tri-Flo Systems, we want to provide you with the education and resources necessary to help you rid your home of bed bugs. What are the best ways? Just keep on reading to find out! As we mentioned earlier, the best way to kill bed bugs fast and efficiently is with heat. That’s because ambient heat, such as from an electric bed bug heater, can thoroughly penetrate an entire room, cause bed bugs to become lethargic, and ultimately kill them before they are able to scurry away. Heat has the ability to penetrate layers, thus killing bed bugs even in their hiding spaces under your covers, in the cracks of the floors, and other harborages. Plus, when compared to chemicals which can have harmful effects, an electric bed bug heater is safe and easy to use. In fact, it’s been shown that heating solutions successfully eradicate bed bugs in as little as one treatment, as compared to two or more for chemical methods. One reason for this is because over time, bed bugs have evolved to become resistant to chemicals. Learn more about using heat over chemicals to kill bed bugs here. So, now that you know that electric bed bug heaters are the most effective solution to kill those bed bugs in your home, where do you find one? Well, you have a few different options. First, you can contact a pest control company which utilizes this up-and-coming method as opposed to chemicals. Many industry leaders are starting to accept the use of heat to kill bed bugs, and thus they are partnering with Colorado Tri-Flo Systems to equip their exterminators with the best electric bed bug heaters on the market. You can take a look at our partners around the country to see who you can trust as an industry leader in bed bug eradication. Or, if you feel so inclined, you can purchase your own electric bed bug heater for home use. These heaters are simple to operate, require no licenses or special certifications, and can run effectively with the outlets in your home. The process is a simple one: all you need to do is identify the infestation area(s), plug in your heater, let it warm for several hours, and then let it go to work. The room should reach a temperature of at least 135 degrees, and remain there for several hours to ensure a thorough eradication. After that, you are cleared to return to that room without having to worry about chemical side effects! Not to mention, they can also double as restoration heaters for your construction projects, or space heaters for your garage or basement. Contact Colorado Tri-Flo Systems today to learn more about our electric bed bug heaters and rid your home of those pests quickly! Our patented “Tri-Flo” airflow technology provides safe efficient heat that can be customized to meet heating needs. Kill Bed Bugs, Dry Out Flood Damage, Heat Construction Sites with American made, ETL Listed Tri-Flo Solutions. Don't Take Our Word For It. Find Out What Our Customers Have To Say. Improve Your Bottom Line! Contact Colorado Tri-Flo Systems LLC for a quote or more information.